TheRaven42 (Grade: B+) I feel this is an absolute must read, especially being Dutch myself. It is so very important because it humanizes the victims of WW II, which I think is essential in making your way in this world. BardofMordor (Grade: B) This is a sad book. It shows the truth about the hardships faced in this time period. 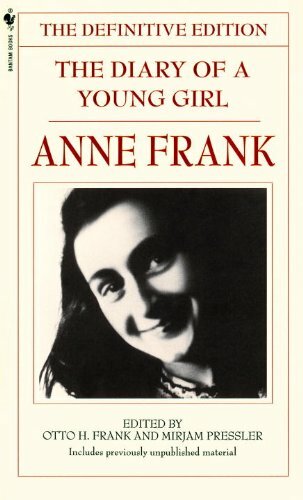 It is an easy read and Anne Frank is one of the most likable people to read from the perspective of. callmeyaya (Grade: B) I admire Anne Frank, the World War II in the eyes of a jewish girl. A girl, who barely understands what is going on, a girl that wants to be free, fell in love and have a good life. It is sad that this story was lived by thousands, for not saying millions of jewish from Europe, people involved in an unfair war, where their rights were ignored.